﻿ Serpentine - Tips For Improving Your Game! For those that play Serpentine regularly, or for that matter any online boggle or anagram game, here are some tips that might help you improve your game! 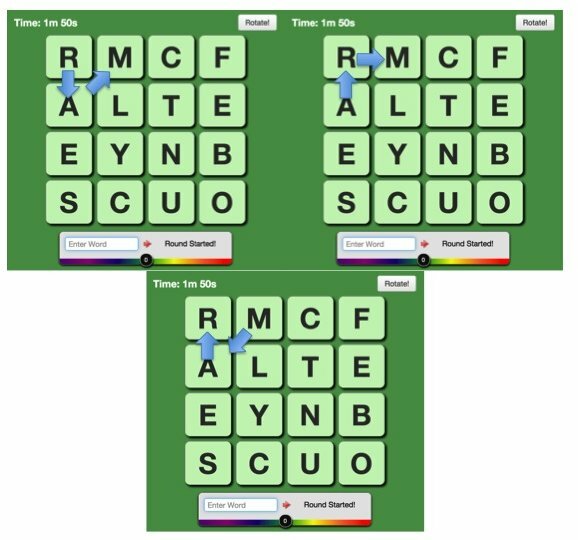 Remember that the way to win at Serpentine is to type as many correct words as possible in the alotted round time, so how can you do this, if you're struggling to keep up with the other players? If you're someone that hunts-and-pecks or has a hard time typing quickly, this can really hurt your game if you tend to type words in (as opposed to mousing). 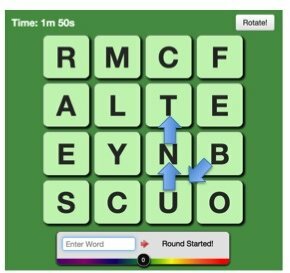 This game thrives on quick fingers, so you may want to consider improving your typing by using a web app like keybr.com. On the other hand, if you're mousing and you're using a touchpad, you may want a dedicated mouse! Just like anything, the more you play, the better you get! This one may be a bit obvious, but really your brain makes new connections over time, and it just needs that extra bit of repetition to do so. Try to play a little bit every day, I bet you'll start figuring out tips 1-5 all by yourself!